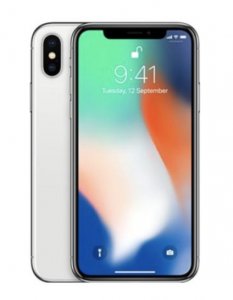 Home / Business / The iPhone X could be a flop- what if it is? Can you, or anyone you know go without your phones for extended periods of time? Because I can’t think of the last time I was voluntarily without my phone for more than 35 minutes, unless I was sleeping, or had to put it away for an exam, or something of that sort. While the new generations’ dependency on our phones might be scary or concerning to the older generations, everyone is slowly starting to accept that smartphones, especially iPhones play a huge part in our lives–from communicating, to socializing, playing games, tracking our friends, and applying for jobs, our phones do everything for us, and wherever we turn, we’re likely to see someone looking down at a smartphone, and probably an iPhone. Apple’s financial performance, for over the past decade has been relying on the success of the iPhone, which so far has not been disappointing at all- on the contrary, the yearly release of a new iPhone has brought both Apple, as well as their users great profit, and just as great of a product, but this might all change once the iPhone X is released. What will happen then? So far, the possibility of an iPhone flopping has not been an issue, until now, and there are two ways in which the new iPhone could fail- either the product itself could fail to impress, and demand will drop, or Apple could fail to execute in meeting demand, even if the product is a strong one. Daily news circulating about the iPhone X and it’s production issues, mainly the rumors that Apple is unable to meet demand, could mean that the 10th anniversary iPhone might be a flop, even though it is expected to be an incredible smartphone. According to an article published in the Business Insider, “The production and supply issues this year appear to be worse than they’ve ever been, and the supply chain logistics also sound more complicated than ever before due to how much technology Apple is packing into iPhone X. While demand outstripping supply is generally a good problem to have, and one that Apple is all too familiar with (and it’s still better than the inverse scenario), that demand is only as good as Apple’s ability to meet it in a timely fashion.”. All this means is that the iPhone X represents Apple’s biggest risk- an unsuccessful product launch, which Apple has never been faced with before, so how will they react is that’s the case? Will our beloved iPhones recover, and redeem themselves?